HOK Inc. and Batson-Cook Construction of Tampa, Florida, worked together to create this project with a very unique design with aesthetic considerations. 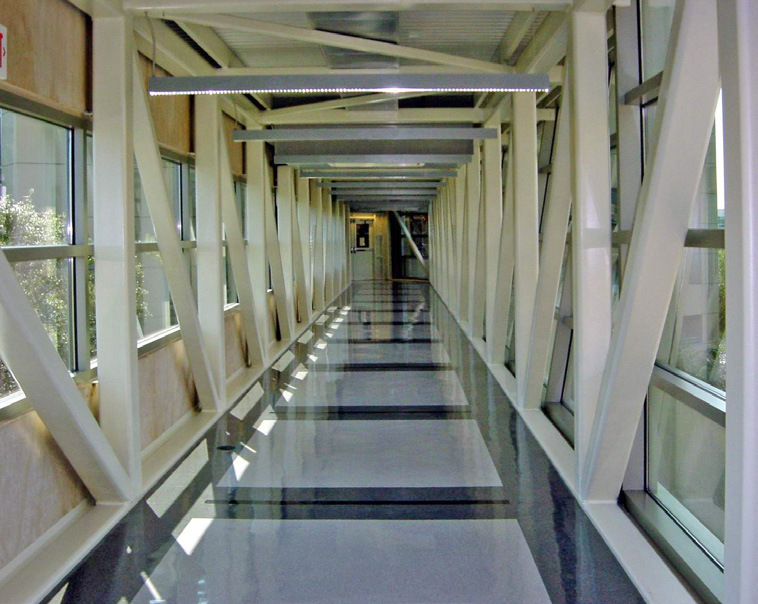 Contech supported both Batson-Cook and HOK to develop a design that met their specific criteria. The Continental® overpass structure has a distinctive combination of glazing panels on one side of the overpass while concrete panels were utilized on the other side of the structure. This design feature provides drivers on the road below with a different exterior appearance depending on their approach. In addition, HOK, Inc. required some of these panels to be tilted to further enhance the appearance. The team designed the roof to compensate for the alternating panels.